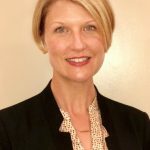 Since 2013, Kristin Thomasgard-Spence has served as program director for the Department of Defense Readiness and Environmental Protection Integration (REPI) Program, which links communities, land preservation, and national defense. The REPI program protects the military's mission by preventing, removing, and mitigating restrictions to military activities through partnerships with state and local governments, land conservation organizations and other key stakeholders. To-date, REPI partnerships have conserved over 516,000 acres of land at 93 installations in 31 states. Kristin also serves as the Department of Defense lead for the Sentinel Landscapes Partnership, a collaborative effort between the U.S. Departments of Agriculture, Defense and the Interior. Kristin also serves as the DoD-DOI Liaison, where she works to enhance coordination between the Departments and works with leadership to develop mutually beneficial solutions to policy or mission issues. Prior to her current role, Kristin worked at Army Headquarters, training directorate and served in the Army National Guard. Kristin has a bachelor's in political science and public administration from the University of Wisconsin-La Crosse and a master's from the Johns Hopkins Carey Business School.